Freedom is the opportunity to live your life the way you want it. These are the words of Harry Browne who wrote the book "How I found freedom in an unfree world". At Perpetual Traveller we have been monitoring worldwide the surest way to obtain a European Passport ofr High Net worth individuals and families interested in a program that offers the whole family visa free travelling, EU Permanent Residency & Citizenship, a Safe Investment in Residential and Commercial Property, legal and tax solutions. The Cyprus Citizenship Program is currently one of the most desirable Immigration Programs in Europe attracting a huge response due to the very attractive key benefits and moreover, it has boosted the Cyprus economy. 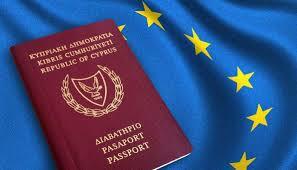 Cypriot passport holders can quickly and cost-effectively obtain visas for other countries, such as the USA. Applicant does not become a tax resident in Cyprus, unless he/she spends more than 183 days in any one calendar year. 1. The Citizenship by Investment law and regulations in Cyprus requires from a single investor to invest in a residential property for their own purpose to the minimum value of €500K and invest additionally €5 million plus VAT in residential or commercial property. According to the new regulation a group of 5 investors who submit their applications as a Group Investment (not necessarily the investments purchased from the same project), allows each individual investor to either invest in a single real estate residential property to the value of €2.5 million plus 5% VAT and no transfer fees. Alternatively to purchase residential and commercial properties combined to the value of €3 million which will include a residential property for their own purpose to the value of minimum €500K or above. The property which will be declared as their own residential property will mean that the owner will enjoy the benefit of having to only pay the 5 % VAT and no transfer fee, but all other investment properties within the €3 million investment then the VAT will be payable at the rate of 19% and will also pay the transfer fees. 2. It's possible to begin a group investment program, as Perpetual Traveller can connect investors to coordinate a group of investors and can include you within this group of the investment as described above. 3. Perpetual Traveller can connect investors to necessary accountants and legal advisors to provide the investor with professional assistance and services to establish a company in Cyprus offering the best solutions when purchasing investment assets and the best options when it comes to reselling the properties without having to pay the capital gains tax on the accumulated profits, which will be explained by our Company accountant and legal advisor. 4. Cyprus features very attractive and prime locations, we can offer either beach front or city centre properties that can provide a high rental yield and excellent growth investment potential, as well being desirably resalable after the 3rd year of receiving citizenship. 5. It's simple to offer investors high quality maintenance, rental and management services. 6. Perpetual Traveller can connect all investors to Cypriot authorities and can confidently achieve the success of the approval for the client provided that the applicant fulfils the required criterion. 7. Even though the law requires full payment of the properties prior to submission of the application, it's possible to hold the clients funds in a clients account and release the funds simultaneously upon receipt of approval or returned to the client if not approved. This is a way of assuring and securing the client’s funds and interests at all times. 1. Perpetual Traveller can arrange an invitation letter and Assumption of Responsibility for Hosting document to the Cyprus Embassy or Consulate in the country where the client is residing and monitor the invitation process until visa issuance. 2. During the investors visits to Cyprus, Perpetual Traveller can arrange responsibility. Investors can expect to be collected from the airport, escorted on property inspection trips, accompanied on meetings with legal professionals and in the evenings enjoy local hospitality. Each Investor visit to Cyprus will be scheduled until the point of departure. 3. After the Investor has chosen a desired investment property, a meeting with legal profesionals for a limited Power of Attorney will be set up. This authorizes the lawyer to carry out the necessary Land Registry transactions and submission of the application for naturalization on behalf of each client. During this meeting the client will arrange the reservation deposit to secure their investment properties and will pay this to the Lawyers client’s account. 4. Following the investors approval, the applicant, his spouse and children should visit Cyprus for a maximum period of 15 days in order to issue their Cyprus European Passport and Cyprus European ID. Decision of the Council of Ministers: The Law and Criteria for the Naturalization of Investors Scheme as per the Cyprus council of Ministers Decision dated 19/3/2014. This is a public document and can be found on the net. M127: A copy of the form that will be completed for the Passport Application and will be accompanied by a number of other documents.